"I've recently finished the Bone Cage and loved it! It is spectacular how accurate the feelings are described, how real it all sounds. As much as I had felt Anything Boys Can Do was ahead of me on the path of life, I felt I could deeply relate to The Bone Cage. Not on an Olympic scale, for sure, but this is what's so marvellous about it. It speaks to every athlete, to every person loving a sport and competing in it. It made me think back to when I wished to compete in dance; I had the opportunity and talent to do so, but wasn't sure if I wanted to pour all that energy for what seemed to be such a shallow goal in the end. At that time, and still today, I felt like the other girls had the willpower to push themselves harder, had the talent, the 'real' thing. Now, and with such a great book to confirm my thougts, I know that it didn't diminish the talent I had, that it wasn't a question of capacity. It was something I wasn't ready to dedicate my life to in the way others were. Instead, I chose to look around to see what other areas I could develop -- and that wasn't that bad of an idea after all. I already miss Sadie, Digger, Fly and the others." (Catherine Craig-St-Louis, Quebec, 16 years old). 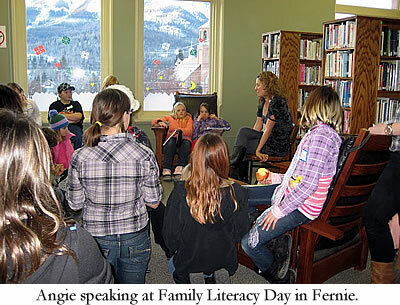 Other teens can have their responses included on this website. Just e-mail Angie at angie@abdou.ca with the subject line: "Teen Response to The Bone Cage". 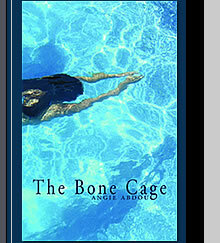 Please click here to access Angie's Readers' Guide to The Bone Cage.